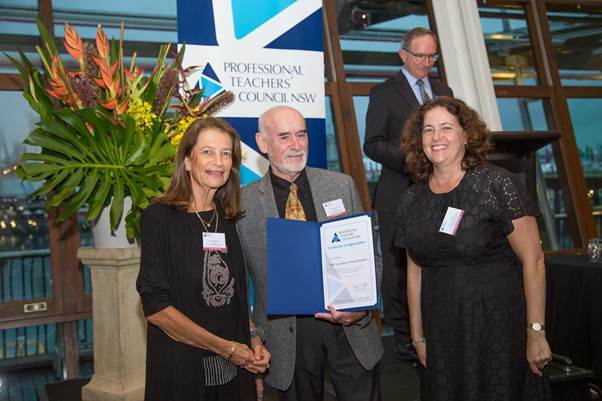 NAFT Co Presidents Jacquie Hilmer and Marion Rosen receiving the Certificate of Appreciation from the PTC NSW President Dr. Denis Mootz. The New South Wales Association of French Teachers (NAFT) was formed in 1999. NAFT has grown steadily to a sizeable and dynamic professional association and has now expanded to include the Australian Capital Territory. The New South Wales Association of French Teachers (NAFT) was formed in 1999. Its founding president was Jacqueline Meunier with the vice-president being Jacquie Hilmer. From humble beginnings, NAFT has grown steadily to a sizeable and dynamic professional association thanks to the dedication of numerous members who have thus contributed to its success. NAFT was born of a need for solidarity and collaboration within the body of French teachers in New South Wales. Its aims were to provide a forum for the dissemination of ideas and a support network in the areas of professional development, methodology, pedagogy and curriculum planning, in particular for the benefit of country teachers. Its first newsletter was published in February 2000 and its first end-of-year conference was held in October 2000. NAFT continues to provide such support to its members and is proud to make submissions, requests or representations on behalf of its membership to the Board of Studies in the areas of assessment and syllabus planning. 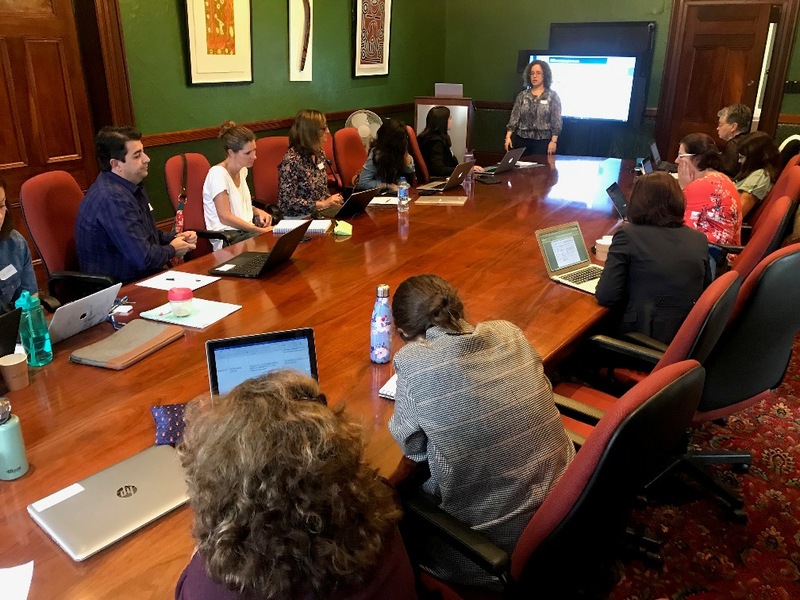 NAFT is an effective body of professionals well-equipped to make representations or express responses to the Government decisions which may affect the teaching and learning of French in New South Wales. 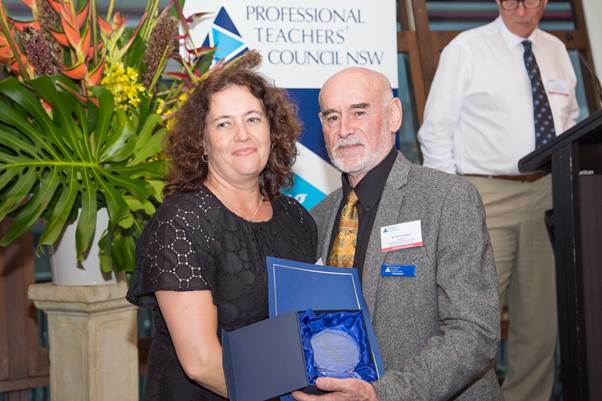 In 2015 NAFT became a member of the NSW Professional Teachers’ Council (NSW PTC). This enabled the association to apply for and offer NESA (formerly BOSTES) accredited professional learning opportunities to our members. Each year, NAFT will offer a number of professional development activities that are NESA accredited. The presidents of our association have been Jacqueline Meunier (2000), Dominique Barbeau (2000-2002), Catherine Willoughby (2002-2003), Jacqueline Meunier (2004-2006), Marie-Josée Esposito (2007-2009), Gilda Stuart (2010 – 2012) Marion Rosen (2013 – 2014), Co-Presidents Marion Rosen and Jacquie Hilmer (2015), Co-Presidents Jacquie Hilmer and Candace Robertson (2016) and Co-Presidents Jacquie Hilmer and Annabel Gassmann (2017 – 2018). The Co-Presidents for 2019 are Marion Rosen and Jacquie Hilmer. The role and responsibilities of the president has grown in proportion with the size of the NAFT membership and its needs; the executive committee and sub-committees have likewise grown larger. We are thankful to all our office-bearers, past and present, for their dedication, altruistic and enterprising spirit. NAFT is also grateful for the valuable input of the Languages Consultants from the DET and AIS as well as the former Attachés Linguistiques and the Attachés de coopération of the French Embassy in Canberra. At the 2017 NAFT Conference, Ghislaine Barbe was awarded NAFT’s first Honorary Life membership for her outstanding contribution to the teaching of French, the dissemination of French culture and services to NSW society in general. 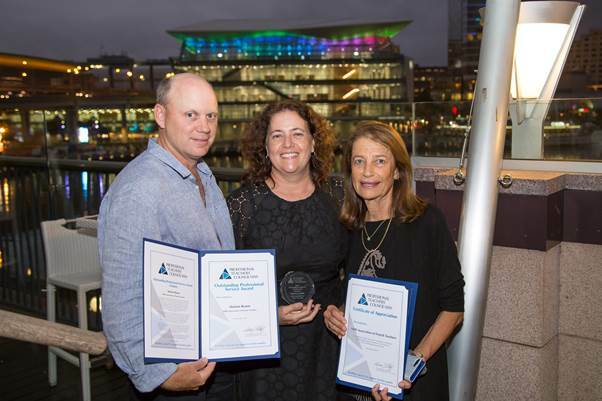 In 2018 NAFT, with support of our Associate members, coordinated and hosted the biennial International and National FATFA conference at Sydney University which was a resounding success, receiving accolades from within Australia and the around the world.